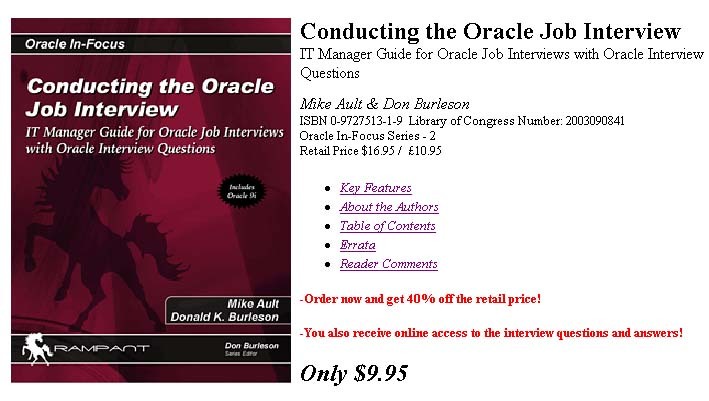 Join Mike Ault and Don Burleson as they take you through Oracle job interview questions. 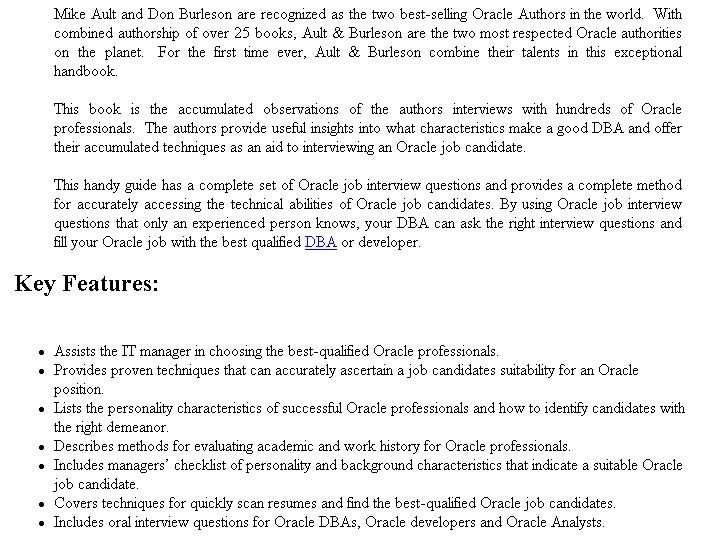 A great book to help you with your Oracle job interview questions. Don't miss these terrific Oracle job interview questions. These Oracle job interview questions will help you find the perfect candidate.